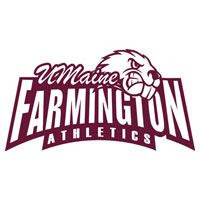 The University of Maine at Farmington baseball team collected in 8-1 victory in the opener, but fell 3-2 in the second game, to split with Lyndon State College in North Eastern Athletic Conference action today at Hippach Field. The Beavers (4-17, 3-7) are scheduled to host Thomas College in a NEAC doubleheader Wednesday at Hippach Field with the first pitch slated for 1 p.m. The Hornets (6-17) are scheduled to visit New England College Wednesday at 3 p.m. In the opener, Brandon Gallagher (North Yarmouth, Maine) tossed a four-hitter and Dale Winchenbach (Waldoboro, Maine) singled twice, scored three times and drove in two runs to lead UMF to the 8-1 win over the Hornets. Gallagher walked two and struck out six in the complete-game win. Matt Levine (Pelham, N.H.) also singled twice for the Beavers with Jack MacVane (Mechanic Falls, Maine) clubbing a double. Winchenbach and Zach Keene (Livermore, Maine) each singled home a run in the third inning as UMF scored three times in the frame and padded their advantage with another three runs in the fifth. Shawn Lonardelli (Lebanon, Conn.) smacked a double for Lyndon with Robert Trucott (Lyndonville, Vt.) driving in a run with a single. Shane Fleury (Plainfield, Vt.) went the distance for the Hornets with a walk and three strikeouts in the loss. In game two, the Hornets scored on grounder in the sixth to slip past the Beavers 3-2. Down 2-1, the Beavers tied the game at 2-2 in the fifth when Connor McNeill (Portland, Maine) scampered home on a wild pitch. In the next frame, Michael Cartularo (Lyndonville, Vt.) scored On a grounder by Shane O'Donnell-Leach (Groton, Vt.) to give Lyndon the lead to 3-2. Jeremy Schichtle (Ryegate, Vt.) managed to finish of the complete-game victory by allowing just one UMF baserunner over the final two innings. Schichtle gave up four hits, while walking one and striking out two. Casey Ashey (Searsport, Maine) hurled a complete game in the loss with four hits allowed, six free passes and four punchouts. Ashey was also hampered by four UMF errors. McNeill was the only repeat hitter for either team with a pair of singles. Pitchers: Lyndon - Shane Fleury. Me.-Farmington - Brandon Gallagher. Pitchers: Lyndon - Jeremy Schichtle. Me.-Farmington - Casey Ashey.